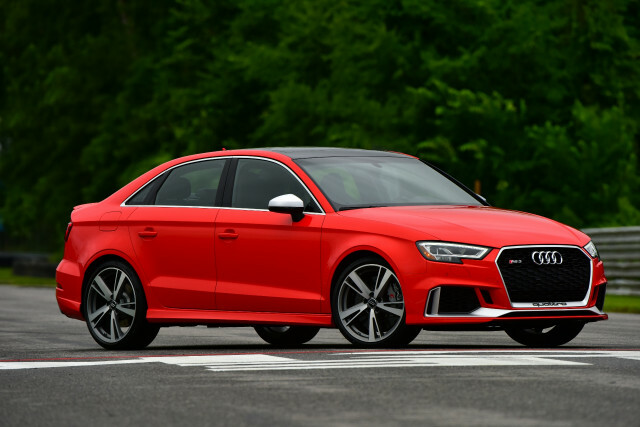 Audi Sport’s two-year-old headquarters in Neckarsulm, Germany, is an imposing complex of handling circuits, skidpads, and windows that cast light onto every nook, cranny, and crevice of the automaker’s high-performance cars. Chief Michael-Julius Renz combs the grounds daily after taking over this year for Bugatti-bound boss Stephan Winkelmann. There’s a three-story trophy case to remind Renz where Audi Sport (nee Quattro GmbH) has been before, and the expectations set for the program in the future. 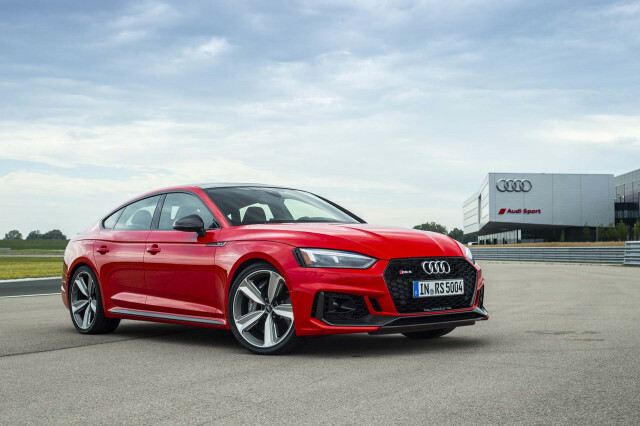 We caught up with Renz to ask him about the new 2019 Audi RS 5 Sportback, racing, where he’s taking Audi Sport, and what he’s driving. Question: Why bring the RS 5 Sportback to America instead of the RS 4 Avant? Haven’t we waited long enough? Answer: First of all, I think in the American market there seems to be a customer a group that likes to have a strong design orientation. And I believe that—we believe—that the RS 5 Sportback in particular—and also the A5 Sportback—is a wonderful piece of art with a very dynamic shape and high functionality. I think this combination is what makes it out at the end of the day. Also, the Avant concept is something that is interesting for our American colleagues and they fought for years…but (the RS 5 Sportback) is a great combination and has the flexibility of an Avant, just the rear end is not that boxy. Q: If you go on just what sells, then shouldn’t we have an RS Q5 soon? A: I would say first when you make a sports car, or a high-performance car, it’s usually flat on the ground, the center of gravity is low, with wide wheelbase so that you have a high performance. To be very honest, we have to follow the customers’ taste and the customers’ demand. We have the SQ5, SQ7, which also could have an “R” on top. This depends very much on the market demand and we will see. 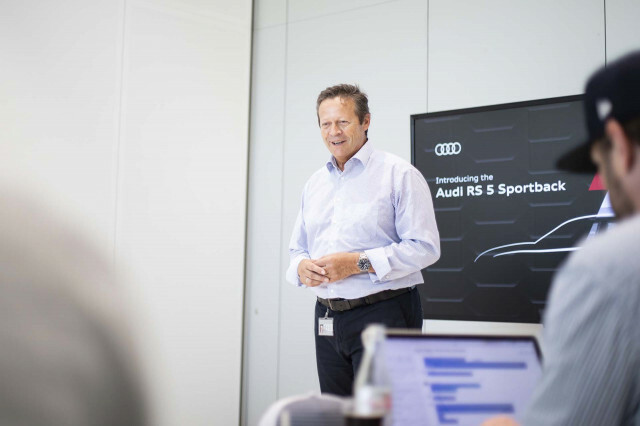 Q: Speaking within Audi Sport as a whole, how much flexibility do you have to build what you want? A: Basically, we at Audi Sport, we are completely free in what we do. It has to be commercially feasible and it has to fulfill the standards that are given by Audi. That’s a core issue. So when you talk about commercial feasibility of course we are looking at what can use from Audi AG. But the development in particular for all the RS is done by us—just by us. Q: What do you drive? A: I drive an RS3. I started in March of this year I check out now one car after the other. I started with the RS 4, then I had a TT RS, and now I have the RS 3. In between, I’m testing all the cars like the R8 RWS. I also drive a Lamborghini and other products from our competitors just to have an idea where we are, what should be adjusted, or where we are strong enough. Q: Do you consider Lamborghini a competitor? Even though so much is shared under the Volkswagen AG umbrella? A: I would say if you look at the market, segmented by purchase power, customers who would invest 200,000 or more euros in a car then everyone in that is a competitor for us. We want to have it in our box and therefore, I would say (Lamborghini) is a competitor. 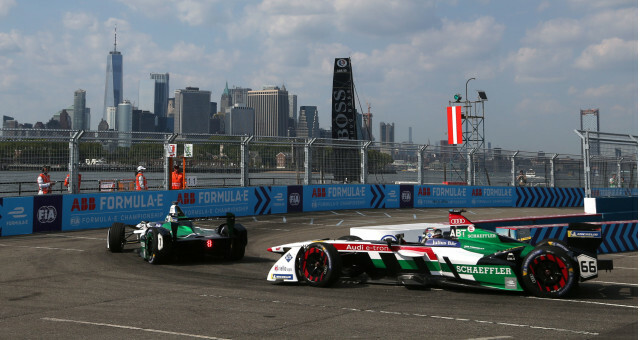 Q: Do you think you can force the same type of association that Audi had with LeMans with Formula E? A: I would answer yes we can. It depends on how much success we create with this kind of technology transfer. We are convinced to have best cars in the future. Answers were edited for style and clarity.